We also have a paper recycling container on site for us, our neighbors and our customers. All the proceeds from the recycled paper benefits Pittsburgh Children's Hospital. 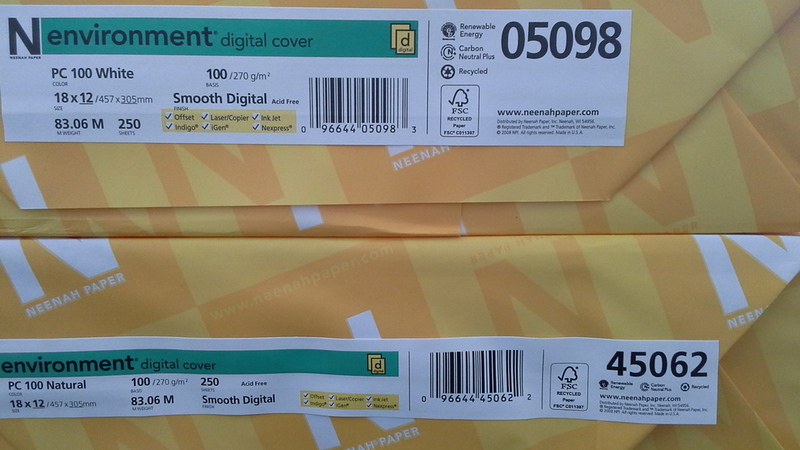 We buy and promote recycled papers as often as possible. We are presently Featuring Neenah ENVIRONMENT® PC 100. This 100lb. cover comes in white and natural and is an excellent choice for business cards, post cards or invitations. It is made with 100% post-consumer fibers. The entire ENVIRONMENT® Papers brand is manufactured Carbon Neutral Plus, with 100% renewable green electricity, and is Green Seal certified. Landowners need incentives to keep forests growing. If landowners can’t afford to pay rising property and estate taxes, or if the financial temptations of urban sprawl are too great, then our nation’s trees are at risk of disappearing forever. Maintaining productive sustainable forests provides income for landowners and keeps forests growing. When you buy paper, you help keep forests growing. It’s true. In the next 30 years the U.S. could lose 44 million acres of forest to development. * When you use paper, you help keep trees growing. Trees are planted in greater numbers than they are harvested. Since the 1940s, annual growth of new trees has always exceeded the number cut down. By 1992, tree growth outpaced harvest by 34 percent and the volume of wood in the forest was 360 percent more than in 1920.